Administrative Law Judge (ALJ), Michael G. Barth, Office of Administrative Hearings (OAH), State of California, heard this matter in San Francisco, California, on February 22, 24 and March 17, 2011. Laurene Bresnick, Attorney at Law, represented the Student. Both parents were present the first and second day of the hearing. Student’s Mother was present the third day of the hearing. Student filed a request for due process hearing on November 9, 2010. On December 15, 2010, OAH granted a continuance of the hearing on motion of the parties. (e) failed to allow Parents to view District’s possible placement sites prior to the IEP team meeting? (d) provide annual goals in the areas of communication and socialization designed to meet Student’s unique needs? 1To maintain a clear record, Student’s Closing brief has been marked as Exhibit S20 and District’s closing brief has been marked as Exhibit D-15. 2 The issues are as framed in the February 15, 2011 Order Following Prehearing Conference and as further clarified at hearing. The ALJ has modified and changed the order of the issues for the purpose of clarity. 3 There was only a single IEP team meeting IEP team meeting in this case that occurred on October 26, 2010, all references to IEP team meetings occurred on this date. Student contends that after he was three years old District was obligated to provide him with a FAPE. At the IEP team meeting, District monopolized the presentation and did not allow Parents meaningful participation in the development of the IEP. District also failed to provide Parents with a written offer designating the location of a proposed placement for Student even after Parents requested District provide a written offer of placement. Student also contends that the present level of performance presented in the IEP was inaccurate and the goals presented by the District in the IEP were not sufficiently specific and not measureable. District concedes that the draft IEP document produced and provided to Parents at the IEP team meeting did not designate a location for placement, but contends that the meeting was not complete and the location of placement and complete offer of FAPE would have been presented in a necessary subsequent meeting. District asserts that Parents abandoned the IEP process after they requested a due process hearing on November 9, 2010. 1. Student is a three-year-old boy who lives with his Parents within the geographical boundaries of District. He is eligible for special education and related services in the primary classification of autistic-like behaviors and a secondary classification of speech and language disorder. 2. On April 28, 2010, Parents enrolled their son in the Serra Preschool (Serra) for school year (SY) 2010-2011, beginning in the fall of 2010. At this time Parents were not aware that their son had any learning disabilities whatsoever, but felt that a preschool program would benefit their son. On the July 4, 2010 holiday weekend Parents noticed that their son did not engage in play in the same manner as another similarly aged child who was present as the family celebrated the holiday with friends. Parents could discern that their son’s behavior was far less advanced than the behaviors of the other child. 3. Within days after the July 4th holiday Parents called Dr. Barbara Bennett, a developmental and behavioral pediatrician, who agreed to evaluate Student on the Saturday following the holiday. Dr. Bennett diagnosed Student with an autistic disorder. Based upon Dr. Bennett’s advice, Parents requested that the Golden Gate Regional Center (GGRC) evaluate their son. GGRC completed a psychological review for eligibility on August 10, 2010, and developed an individualized family service plan (IFSP), taking into consideration Parents input and the input from the evaluation team. Student was found eligible for services under Part C of the Individuals with Disabilities Education Act (IDEA) in the Early Start program. 4. The IFSP provided Student with 20 hours per week of applied behavior analysis (ABA) services, speech therapy for two 45-minute sessions per week and an occupational therapy evaluation. The ABA therapy was provided by Steps Therapy, Inc. (Steps). Student began showing immediate improvements as a result of the ABA therapy and Parents requested that the ABA therapy hours be increased. On September 9, 2010, GGRC increased Student’s ABA therapy to 30 hours per week. Because Student was to turn three years old on October 16, 2010, the IFSP also included a referral to the District. 5. After Parents learned of their son’s diagnosis and because GGRC recommended that Student continue to be exposed to typically developing peers, Parents met with the Director of Serra and discussed having their child attend Serra, with Steps providing in-class one-to-one assistance to Student and providing ABA therapy. Although Serra programs were not designed for children with disabilities they agreed to a test period that included a one-to-one aide from Steps to assist Student and to provide ABA therapy in the classroom.4 The test period was successful and Student has continued to attend Serra since August 2010. 6. Parents were aware that the services provided by GGRC would be terminated on their son’s third birthday. On September 1, 2010, a transition meeting was held to transfer services from GGRC to District without interruption. The meeting was attended by Parents, GGRC and a District representative. The meeting lasted one-half hour. The parties discussed Student’s progress in his current program as well as possible District programs and the need for the District to perform its own assessments. There was no discussion about District taking over the services provided by GGRC. 7. By September 5, 2010, Parents received an assessment package from District requesting permission to conduct assessments. Parents completed all of the forms, granted District permission to assess their son and signed a release so District would have access to all GGRC reports. Within two weeks of submitting the assessment package Parents received a telephone call from Susan Walburn, District’s case manager assigned to Student, to arrange the assessments. At this time Parents provided District with reports they had obtained privately from Dr. Bennett as well as an occupational therapy report. Parents fully cooperated with District to complete assessments. 8. After Student’s third birthday, GGRC terminated funding for all services. Parents then assumed responsibility to pay to continue 30 hours per week of ABA services provided by Steps at a cost of approximately $1,500 per week. Also, Parents had previously paid $7,900 in tuition to allow Student to attend a year of preschool at Serra. Parents terminated speech and language services because they were unable to afford those expenses. 4Steps has continued to provide 10 hours of weekly services in the classroom and 20 hours weekly services in Student’s home since this time. 9. On September 23, 2010, Parents consulted with psychologist Lori E. Bond, Ph.D. Parents retained Dr. Bond to provide them a clearer understanding of their son’s functional levels and educational needs, and to develop an intervention plan to address any deficits that their son may have. Accordingly, Dr. Bond performed a psychological assessment, produced a report and provided recommendations. 10. Dr. Bond is a licensed California psychologist who attended the University of Pennsylvania, earned her bachelor of arts degree in psychology from Gettysburg College in 1983, earned her master of science in psychological services in 1987 and her Ph.D. in psychology in 1992. Dr. Bond has performed diagnostic evaluations and treatment, specializing in preschool age children and children with autism spectrum disorders, for the past 15 years and is currently in practice at Mosaic Child and Family Therapy Services in Los Altos, California. She has conducted hundreds of evaluations of children with disabilities, attended hundreds of IEP team meetings and has developed associated present levels of performance and goals. Dr. Bond testified and was qualified as an expert witness at hearing. She testified credibly, her testimony was persuasive, and was given significant weight. 11. Dr. Bond began by interviewing Parents on September 23, 2010. She then observed the ABA therapy being provided to Student by Steps on October 4, 2010, conducted preschool observations of Student on October 5, 2010, and completed psychological testing of Student on October 10, 2010.5 Dr. Bond also reviewed the following reports: the developmental behavioral pediatrics evaluation from Dr. Bennett dated July 2010; the psychological review for eligibility from GGRC; the speech and language intake report from GGRC; the evaluation for ABA services from Steps; the pediatric occupational therapy evaluation provided for GGRC and Steps goals and progress related to ABA therapy. On October 7, 2010, Dr. Bond informed Parents of her findings. 12. Dr. Bond testified, and the ALJ finds, that Student requires, consistent with empirically established guidelines for young children with autistic disorders, that his program include a well defined teaching plan. The plan must be designed to develop functional skills within multiple settings from individualized instruction from interventionists with specialized autism-specific educational experience. Specifically Student requires a minimum of 30 hours per week of individual ABA therapy with a 10-hour portion of these services provided in a nurturing developmentally based preschool. Within the preschool setting Student requires an experienced and trained one-to-one ABA aide who is able to target his social language and peer play goals within naturally occurring play and social routines in the classroom, to maintain a collaborative working relationship with classroom teachers and to provide consistency between the home and classroom settings. 5 Dr. Bond’s methods of assessment included Parent interview; behavior observations during testing; the Wechsler Preschool and Primary Scale of Intelligence – Third Edition; the Vineland-II Adaptive Behavior Scales, Survey Interview Form; the Autism Diagnostic Observation Schedule – Module I; observation of ABA therapy; and preschool observation. 13. To meet his unique educational needs Student also requires home-based behavioral intervention and ABA services as well as speech and language and occupational therapy services. His program must also include structured play with a neurotypical peer from his preschool two times per week. Student’s treatment plan requires monthly meetings between Parents and providers to review progress on individualized goals. The program currently administered by Serra, includes a one-to-one aide from Steps providing ABA therapy services both in the classroom and at home. Classroom services are provided 10 hours each week and in-home services are provided 20 hours each week. This is an appropriate placement for Student at this time and meets his unique educational needs. 14. Prior to Student’s third birthday. District gathered an appropriate team of specialists, arranged for the necessary assessments and completed the necessary reports to make a determination of eligibility. Ms. Walburg, Student’s case manger, acted as the point of contact for Parents. In this capacity, Ms. Walburg coordinated the date and time for the IEP team meeting and responded to Parent’s questions. As discussed in Factual Finding 7, Parents fully cooperated with District in the assessment process. 15. Parents of a child with a disability must be afforded an opportunity to participate in meetings with respect to the identification, assessment, educational placement, and provision of a FAPE to their child. A school district must ensure that the parent of a student who is eligible for special education and related services is a member of any group that makes decisions on the educational placement of the student. Among the most important procedural safeguards are those that protect parents’ right to be involved in the development of their child’s educational program. District did take steps to assure Parent’s attendance at the IEP team meeting and Parents did attend the IEP team meeting with representatives from Steps. District completed all the necessary assessments prior to the IEP team meeting and had all necessary personnel present at the IEP team meeting. Although the IEP team meeting was initiated properly there were several factors that substantially restricted Parents ability to fully participate in the IEP team meeting. 16. Communications between Parents and District were accomplished through telephone calls and by email. Between September 27 and November 8, 2010, Student’s Mother sent District 17 emails exchanging information, arranging for the IEP team meeting and attempting to arrange for observations of different class programs that may have been appropriate for her son. The initial emails emphasized that Student would turn three years old on October 16, 2010, and attempted to set a date for an IEP team meeting prior to Student’s third birthday. Later emails related to arranging meetings and Parents’ attempt to observe classrooms that may be appropriate for their son. 17. District sent Student’s Mother 13 emails during the same time period. Ms. Walburg responded in a timely manner and worked toward resolving problems related to the exchange of information as well as the District’s observations of Student for its’ assessments. 18. On October 14, 2010, twelve days before the IEP team meeting, Mother sent an email to Ms. Walburg requesting that Parents be allowed to observe possible placement locations for their son. Mother suggested that October 15, 19 or 20, 2010, were dates that they would be available. Both Parents testified credibly that they were determined to observe possible placements prior to the IEP team meeting so that they would have sufficient information to participate intelligently in the discussion and to make a determination of placement. Ms. Walburg responded that she would get back to her the next day after meeting with Pamela Macy to find out how to proceed with Parent observations. Later the same day Ms. Walburg sent an additional email assuring Mother that she would get back to her as soon as possible in regard to arranging programs to observe. Ms. Walburg never communicated further with Parents regarding classroom observations. 19. Pamela Macy has been the supervisor for designated instructional services for the past six years for District and is responsible for overseeing diagnostic evaluations. Ms. Macy is a California licensed speech and language pathologist, and holds a California administrative credential and a clinical rehabilitation credential in hearing, speech and language. Ms. Macy typically attends between 10 and 15 IEP team meetings each month. 20. The next day, October 15, 2010, Pamela Macy wrote an email to Mother responding to her request to observe possible placement locations by stating that Parents may observe “District programs from the least restrictive placement the Preschool Language Center, Language and Learning Classroom, and Special Day Class.” Ms. Macy then asked if Parents would like to be accompanied by a District representative. Mother promptly responded and asked what days are available to observe. Ms. Macy never responded to Mother’s question and no arrangements were made for Parents to observe possible placement locations prior to the IEP team meeting. 21. Ms. Macy first testified that she did not receive Mother’s October 15, 2010 email and then later testified that she did not read the email. Ultimately, she characterized her failure to respond as an oversight. She then testified that Parents are encouraged to visit programs and that a District representative is not needed for a Parent to visit a program. She added that Parents would know that they can visit on their own. This testimony is not credible given that District’s own case manager, Susan Walburg, testified that she was not responsible for arranging observation of placement locations, and did not seem to know what process was used for Parents to make observations of possible placement locations. It is inconceivable that Parents would understand a process that District’s own case manager did not understand. 22. Throughout the relationship between Parents and Ms. Walburg no communications except those related to making arrangements to visit District programs went unanswered. Ms. Macy provided no information to Parents regarding what programs were available to be observed except to provide a range of the type of classes. No locations were provided; no times were provided; and no assistance was provided, except an offer to answer questions. 23. For Parents to participate in the decisions related to the education of their child they must have all information related to the activity for which consent is sought. Parents made requests to observe possible placement locations to enable them to be fully informed about the placement options. District’s mismanagement of the communications related to those requests restricted Parent’s ability to be fully informed to participate in the IEP process. There is no legal requirement that District arrange observations of possible placement locations prior to the IEP team meeting, but District’s failure to respond to Mother’s request to observe possible placement locations was the initial act that led to a breakdown of communication. 24. In this instance, no information related to possible locations of placement was provided to Parents other than a general description of the types of programs the District may offer. Parents provided three dates on which they were available, communicated with the case manager designated by District and with Ms. Macy, and were ignored. During this period the District did nothing to continue the services GGRC was terminating, while Parents were paying for all of the services that they could afford. 25. The IEP team meeting was convened at approximately 3:10 p.m. The meeting was attended by Parents; Candice Berkebile, Steps program director; and Johanna Ploude, Steps ABA therapist. District representatives attending the meeting included: Pamela Macy, administrator; Kari Sasada, behavior specialist; Akemi Hata, occupational therapist; Tracy Joseph, school psychologist; Phyliss Catherine O’Leary, general education teacher; and Susan Walburn, special education teacher. The meeting was attended by every person the law required. 26. At the IEP team meeting District began by reviewing District assessments that were provided to Parents prior to the meeting. Instead of providing Parents with agenda of what District intended to review that the IEP team meeting District simply began reciting the assessment reports and then begin reciting the goals prepared by District members of the IEP team. District was aware that Parents requested that the initial IEP team meeting be scheduled for three to four hours. In scheduling the meeting District offered Parents choices of meeting times. Parents chose 3:00 p.m. on October 26, 2010, as the time for the meeting because in District’s offer they had no ending time on this date, but did include ending time on other dates offered. District did notify Parents in advance of the IEP team meeting that they would schedule a subsequent meeting if necessary, but at no time communicated to Parents that multiple meetings would be necessary to complete the IEP. Parents held a reasonable belief that the IEP would be completed in a single meeting. 27. Pamela Macy acted as the facilitator of the meeting. Parents testified that Ms. Macy rigidly controlled the meeting and required each presenter to read her entire report. Ms. Macy testified that she did not require that each presenter read her entire report and each witness for the District testified that they did not read their report word-for-word. However, District team members took more than two hours to recite the assessments and the draft IEP. 28. District witnesses characterized Parents as being unengaged in the process as they did not interrupt frequently to ask questions and had few questions to ask when they were prompted by the District participants. Parents explained at hearing that they understood the assessments and evaluations, found them consistent with other assessments performed on their son and were anxious to discuss placement. Therefore, Parents’ lack of questions on District assessment reports does not equate to Parents being unengaged in the process. 29. Parents provided credible testimony that Ms. Macy made it clear that she was in charge of the process, that Parents could ask questions, but District must first complete its presentation before Parents could raise their separate concerns. Parents were waiting for their turn to discuss issues regarding goals and placement locations being offered rather than question assessments that they had reviewed in preparation for the meeting. Such a rigid model of an IEP team meeting is not conducive to open and meaningful discussion. 30. This was Parents’ first IEP team meeting. District had an obligation to provide time during the meeting for Parents to address issues that concerned them regarding their son, to keep an open mind and to provide sufficient information regarding District programs so that Parents could understand the location of placement and contribute to the decision regarding the location of placement of their son. 31. Throughout the meeting Ms. Walburn took notes on a computer. When Ms. Walburn was required to present her assessment Ms. Joseph took notes. As part of this process Ms. Walburn completed the draft IEP for Student. Halfway through the meeting the parties took a short break and the draft IEP was printed and distributed to the IEP team. 32. As the meeting progressed Ms. Walburn continued to modify the draft IEP. By the end of the meeting the draft IEP was complete. Unlike the earlier draft, the final draft contained an offer of placement location that identified the classroom where Student would receive services. Although the final draft was completed by the end of the meeting; it was not printed and distributed to the IEP team. Ms. Walburn testified that she should have provided parents with a copy of the final draft IEP. Parents left the IEP team meeting with a draft IEP that did not identify the location of their son’s placement. 33. District is required to make a formal written offer in the IEP that contains a clear offer of placement. This must include a statement of the special education and related services, and supplementary aids and services, including program modifications or supports, and a statement of the anticipated frequency, location and duration of those services. All of these must be designed to address Student’s unique needs and make the District’s commitment of resources clear to parents. Here, Parents were denied a clear and formal written offer of placement because they received only an incomplete draft. As discussed in Factual Finding 36, Parents were not provided a written offer until December 27, 2010. 34. District’s reasons for not printing the final draft and distributing it, although believable, are troublesome. First, District explains that it was their intention to have a subsequent IEP team meeting by November 9, 2010. Then District explains that they did not copy and distribute the final draft of the IEP because it was late; the meeting lasted until nearly 6:00 p.m. Whatever the reason, the result was that Parents left the IEP team meeting with an incomplete draft of the IEP that failed to disclose the location of placement. The injury to Parents’ participatory rights was aggravated by the earlier breakdown in communications that prevented Parents from observing possible District placement sites prior to the IEP team meeting. Given that the written draft parents had in their possession contained all of the elements of an IEP except the location for placement, and given that the entire presentation involving the placement location was verbal, it was reasonable for Parents to be confused about the offer. 35. As the IEP team meeting approached 5:30 p.m., the team attempted to set another meeting. Ms. Macy left the meeting believing that it would reconvene on November 9, 2010. Parent both testified credibly that they cleared their calendars in October to complete the IEP for their son, but had prescheduled business trips in early November and knew they were not available. Parents did not agree to the November 9, 2010 IEP team meeting date. 36. Ultimately the parties agreed to continue the IEP team meeting to November 30, 2010, but District did not send an invitation to Parents as they did prior to the first IEP team meeting, nor did it send a copy of the completed IEP draft to Parents until December 27, 2010. District abandoned the IEP process because it believed that Parents were no longer interested in pursuing an IEP because they had filed for a due process hearing, but District produced no evidence showing Parents did not want to place their child in a District program or that they had abandoned the IEP process. Parents provided substantial evidence that they cooperated with the IEP process and pursued a District placement. 37. For all the reasons above, the District’s failure to provide Parents with a written copy of the final draft of the IEP at the conclusion of the meeting constituted procedural error that significantly impeded Parents’ opportunity to participate in the decision-making process regarding the provision of a FAPE to their child. 38. Beginning with the transitional meeting on September 1, 2010, followed by a District email to Mother and culminating with the discussion at the IEP team meeting, District presented Parents with a range of the type of programs that the District offered to preschool children. From the Preschool Language Center and the Language and Learning Center to the Special Day Class, the District did describe the range of placements, but did not offer Parents information about where these classes are held or how they could be visited. It was unclear whether District was describing a single class or a type of class that was offered in multiple locations. However, there was ample opportunity for Parents to ask District personnel for additional information regarding the options if they had specific questions. 39. District understood and appreciated the positive effect that ABA therapy was having on Student as it ultimately offered to fund 12 hours per week one-on-one ABA therapy services at Student’s home, 2.25 hours per week of program supervision to be provided by Steps–this information was not provided to parents in the draft IEP that they took from the IEP team meeting, but was discussed during the meeting and added to the IEP provided to Parents by mail on December 27, 2010. These services would continue through the school year as well as through the extended school year with services to be provided seven days each week during the summer. District verbally offered the Presidio program, but contrary to Dr. Bond’s recommendation, District did not offer one-to-one ABA classroom services because the Presidio program was managed by staff that were trained in ABA principles and applied them during the class day. Additionally, District offered Student speech and language services of 180 minutes each month and occupational therapy service of 90 minutes each month. 40. District is required to have a continuum of program options available for a child. It was appropriate for the District to discuss the types of programs offered by the District and District did take into consideration Student’s unique educational needs. For example, District did consider Dr. Bond’s report and implemented many of her recommendations into the offer. But in this instance Parents asked to observe the various sites of possible program locations prior to the IEP team meeting and District should have assisted Parents in understanding the possible placement options. That shortcoming was aggravated by the fact that the offer of placement location was not in writing. This is particularly important in a large school district as there may be multiple classes that offer similar services. However, notwithstanding these discrepancies, District did provide a continuum of services to parents. While District could have done better in responding to parents, the offer of a continuum of services was sufficient and did not deny Student a FAPE. 41. A school district violates IDEA procedures if it independently develops or predetermines an IEP, without meaningful parental participation, and simply presents the IEP to parent for ratification. The test is whether the school district comes to the IEP team meeting with an open mind and several options, and discusses and considers parents’ placement recommendations and concerns before the IEP makes a final recommendation. School district personnel may discuss their proposed options before the IEP team meeting or may begin the meeting with initial proposals, provided there is open discussion. 43. The shortcomings in the District’s handling of the IEP were cumulative. The restriction of Parental participation began with District’s failure to respond to Parent’s request to observe possible alternative placements for their child. Prior to the IEP team meeting District ceased communication with Parents after they inquired about observing possible placements. At the IEP team meeting District created an environment where their IEP team members monopolized the limited time allotted for the IEP team meeting. 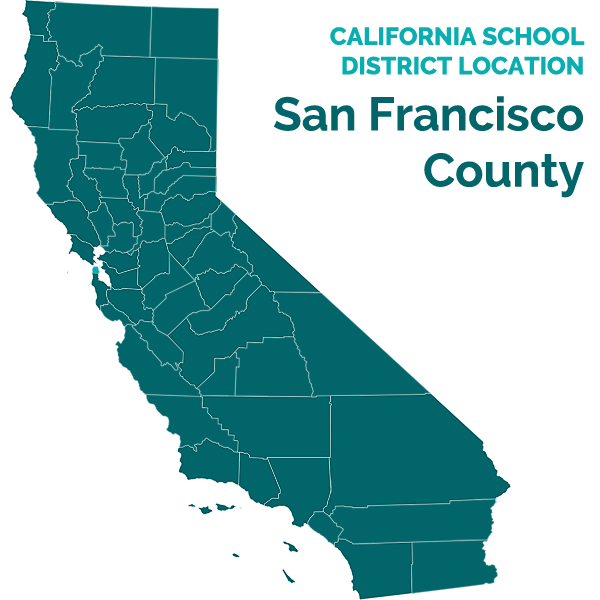 District predetermined Student’s placement and arranged for a presentation of the Presidio program by a person that was not disclosed to Parents prior to the IEP team meeting. 44. The District’s shortcomings in conducting Student’s IEP team meeting, presenting the IEP and predetermining placement constituted procedural error that significantly impeded Parents opportunity to participate in the decision-making process regarding the provision of a FAPE to their child. 45. As discussed in Factual Findings 18 through 22, Mother requested assistance to observe possible locations for the placement of her son on October 14 and 15, 2010. District failed to provide any information that would allow Parents to observe possible placements and simply ignored their request for assistance and thus denied Parents information that would have assisted them in participating in the decision-making process related to placement. 46. No explanation or justification was provided for not authorizing Susan Walburg, Student’s case manager, to make arrangements for classroom observations as part of her responsibility to assist Parents in participating in the IEP development process. At the IEP team meeting District introduced a single location for placement, Presidio, and did provide information at the IEP team meeting so Parent’s could arrange a visit to Presidio, but also denied Parents’ requested information of other possible placement locations. Mother did visit and observe the classroom at Presidio on November 13, 2010, but had no information enabling her to visit other possible placement locations. 47. Arrangements were made for Mother to visit Presidio and this may have resolved this issue had the District followed through with a subsequent IEP team meeting and provided information about the classrooms described in the continuum. However, after Parents filed for a due process hearing District assumed that Parents were abandoning the IEP process. There is no justification for this assumption. Special education litigation is frequently lengthy, and Students must be properly educated in the interim. There is nothing in the law that allows a District to halt the IEP process because Parents have filed a request for due process hearing. 48. When reviewing all of the evidence it appears that District saw little need for Parents to visit other possible placement locations because District had determined that Presidio was the proper placement. Nevertheless, the failure of District to allow for the observation of possible placement locations prior to the IEP team meeting by itself does not a constitute a procedural error that significantly impeded Parents opportunity to participate in the decision-making process regarding the provision of a FAPE to their child. 49. The validity of an IEP is measured by what was objectively reasonable at the time the IEP was written, and in light of a “snapshot” of the information available to the IEP team when its decisions were made. The “snapshot rule” means that information that was unavailable to the District when the IEP was written cannot be used to undermine the team’s decisions. 50. There is no dispute regarding District’s assessments of Student in this case. The assessments conducted by Dr. Bennett, GGRC, Dr. Bond and District found that student has an autistic disorder with associated speech and language impairments. No further analysis of the assessments conducted by the various parties and their conclusions is required here. Student was thoroughly assessed by multiple highly-qualified professionals who agreed on Student’s diagnosis. With the exception of the necessity for a full time one-to-one classroom aide to provide ABA services directly to Student in the class room all of the recommendations for Student’s intervention are consistent: intensive ABA therapy; time with typically developing peers; speech and language therapy and occupational therapy. 51. An IEP must contain a statement of the individual’s present levels of academic achievement and functional performance (PLOPs), including the manner in which the disability of the individual affects his involvement and progress in the regular education curriculum. The statement of PLOPs creates a baseline for designing educational programming and measuring a student’s future progress toward goals. 52. The draft IEP addresses six areas of PLOPs: (1) strengths, preferences and interests; (2) academic achievement; (3) communications/speech and language functioning; (4) cognitive development/thinking strategies; (5) social and emotional development; and (6) adaptive/daily living skills. The PLOPs were based upon a review of extensive reports provided by Parents to District and on the District’s assessments. Dr. Bond conceded in her testimony that the PLOPs are accurately written as they relate to the testing of Student. Dr. Bond concluded that the PLOPs are inconsistent with her testing only because the District determined that Student had a developmental age of 34 months when tested at 35 months, whereas Dr. Bond concluded that Student was not performing at age level. These differences do not detract from the value of the PLOPs for Student in providing a sufficient baseline to measure his development and provide acceptable foundations for developing goals. 53. An IEP must contain a statement of measurable annual goals designed to meet the individual’s needs that result from the individual’s disability to enable the pupil to be involved in and make progress in the general curriculum and to meet each of the pupil’s other educational needs that results from the individual’s disability. Annual goals are statements that describe what a child with a disability can reasonably be expected to accomplish within a 12-month period in the child’s special education program. In addition, the IEP must include appropriate objective criteria, evaluation procedures, and schedules for determining, on at least an annual basis, whether the annual goals are being achieved, and a statement of how the student’s progress toward the goals will be measured. 54. Student contends that the draft IEP fails to provide specific and measurable goals. The draft identifies five goal areas with seven goals in Student’s IEP with 23 related objectives. The five areas are: (1) developmental skills (one goal and four objectives); (2) language– communication (three goals and 10 objectives); (3) language and speech–articulation (one goal and two objectives); (4) occupational therapy (one goal and three objectives); (5) personal development–social skills (one goal and four objectives). 55. District designed the developmental skill goal to increase Student’s classroom skills and to ease his access to learning opportunities. Student argues in his closing brief that he can now transition between routine classroom activities with decreasing adult facilitation and can attend to adult-directed tasks within the classroom for at least five minutes. This may now be true in Student’s current environment, but this is an appropriate goal when analyzed at the time it was developed by District. Student has made rapid advancements in his current program, given this fact it may necessary to have IEP team meetings to adjust goals to Student’s advancement as progress is made. The developmental skills goal also has objectives that involve Student attending and participating in large group activities, such as circle time, with decreasing adult facilitation; increasing his participation from 25 to 100 percent; and attending and participating in a variety of small group activities, increasing his participation from 30 to 80 percent. 56. These goals are appropriate and sufficiently specific and are based upon assessments and observations performed by District, GGRC and other professionals. Although it may be true that Student can now meet some of these goals in his current environment, these goals must be analyzed from the time they were drafted. 57. District designed three communication goals for Student. The first goal relates to increasing Student’s ability to respond to functional verbal directions across people, settings and materials by 30 to 80 percent. The second goal is designed to increase Student’s functional use of expressive language by 30 to 80 percent. The third goal requires Student to improve by 20 to 80 percent in initiating and maintaining social interactions through appropriate means. 58. Student argues in his closing brief that the goals are overbroad and impossible to measure, and that Student has already mastered some of the objectives such as responding to his name, and demonstrating an understanding of common attributes such as size, shape and the use of age level grammatical markers. Student may have mastered some of these in his current familiar environment, but these goals must be analyzed at the time they were drafted. These goals are appropriate, specific and measurable and based upon Student’s needs and PLOPs at the time of the IEP team meeting. 59. District designed a single goal for articulation that required Student to increase his oral motor skills from 60 to 90 percent, in order to increase the strength and coordination to articulate across people, settings and purposes. This goal is measured by monitoring Student’s lip, tongue and jaw movements and the strength and coordination of his articulation. This goal is appropriate for Student and measurable through observation and demonstration as described in the IEP. 60. District designed a single occupational therapy goal that requires Student to demonstrate improvement from 15 to 80 percent in his fine motor and visual skills. 61. The objective provided for Student to learn how to stack blocks, use scissors and draw particular shapes and lines. Learning these skills would have worked on Student’s fine motor and visual skills, and his pencil grasp. The objectives provided specific measurable criteria for determining when Student had achieved the objective, at periodic intervals. Accordingly, the annual goal, and objectives, for occupational therapy was appropriate, measurable and based upon Student’s needs. 62. District designed a single social skills goal for Student to increase social integration and play skills. It would require him to improve his performance to 80 percent in adult facilitated turn-taking, play repertoire, and cooperative group activities. 63. Student, in his closing brief, criticizes the social skill goal because Student has already mastered the goal of participating in cooperative group activities. This may now be true in Student’s current environment, but this is an appropriate goal when analyzed at the time it was developed by District. The goal is appropriate, specific and measurable and based upon Student’s needs and PLOPs at the time of the IEP team meeting. 64. At the IEP team meeting, after District recited its assessments and reviewed the draft IEP that was printed and distributed to the IEP team, Parents distributed a list of 5 goals containing 60 objectives for their son. Parents created these goals in preparation for the IEP team meeting to enable them to share their thoughts with District. Parents did not have the benefit of reviewing District goals when they prepared their goals. 65. The five areas identified are: (1) cognitive goals (12 objectives); (2) self-help goals (4 objectives); gross/fine motor skills goals (5 objectives); social goals (23 objectives); communication (receptive and expressive) (16 objectives). It was after 5:15 p.m. when Parents were able to introduce their goals, so there was little time for the team to review and analyze them. Pamela Macy then stated that a second IEP team meeting was necessary. District was open to considering Parent’s goals and making changes, but suspended the IEP process after Parents filed their request for a due process hearing. Parents’ goals were not inconsistent with District goals, but could have been used to enhance District goals had the District conducted a follow-up IEP team meeting. 66. Tracy Joseph, school psychologist, described how District designed goals. The process began with identifying Student’s needs and then targeting areas in which he would achieve independence with less adult facilitation and established a benchmark that can be achieved in one year. A goal must be related to activities that regularly occur during Student’s school day. These elements then provide a baseline of activities that can be modified and defined further. When comparing a student’s performance against the goals, reports are developed from the data collected and sent to Parent’s each semester as part of Student’s report card. Data is also consolidated and prepared for the annual IEP team meeting in order to write next year’s goals. The process was logical and thoughtful and designed to provide a practical method to collect necessary performance data for students. 67. The only significant defect presented by Student in the District offered goals was that some of them lacked current information on the levels of Student’s skill and achievement. This is mainly attributed to the exceptional progress that Student is making in his current program. However, as discussed in Factual Finding 49, the validity of an IEP is measured by what was objectively reasonable at the time the IEP was written, and in light of a “snapshot” of the information available to the IEP team when its decisions were made. 68.The evidence showed that all of the goals in the offered IEP were directly related to Student’s needs. Their baselines were established by recent assessments by District as well as other competent professionals, and were adequate. The goals were reasonable and measurable. The goals complied with all legal requirements. 69. Student contends separately that District failed to provide goals in areas of communication and socialization designed to meet Student’s unique needs. As discussed in Factual Findings 53 through 68, the goals designed by District were sufficient and did not deny Student a FAPE. District developed three communication goals with ten objectives and one social goal with four objectives that were sufficiently designed to meet Student’s unique educational needs. The evidence does not support a finding that District’s proposed goals in communication and socialization were insufficient and denied Student a FAPE. 70. Student admitted in to evidence receipts that showed Parents spent $7,900 for the annual tuition at Serra and $20,563.75 for the ABA services from Serra from October 18, 2010, until January 31, 2011. From receipts and Parents testimony, it is found that the ABA services provided by Serra cost approximately $1,500 per week. 71. Parents may be entitled to reimbursement for the costs of placement or services they have procured for their child when the school district has failed to provide a FAPE, and the private placement or services were appropriate and replaced services that the district failed to provide. A unilateral educational placement of a child is not required to meet all requirements of the IDEA. Factors to be considered when determining the amount of reimbursement to be awarded include the existence of other, more suitable placements; the effort expended by parents in securing alternative placements; and the general cooperative or uncooperative position of the school district. 72. District committed procedural and substantive violations that denied Student a FAPE for the SY 2010-2011. Student requests reimbursement for costs associated with Student’s placement at Serra Preschool in San Francisco from October 16, 2010. Student also seeks reimbursement for costs associated with the ABA therapy provided by Steps for 30 hours each week from October 16, 2010. 73. Overall, the evidence established that Parents did not act unreasonably or delay or obstruct District’s assessments or any other activities for which District required Parent cooperation. Parents made Student reasonably available for assessment subsequent to the September 1, 2010 transition meeting with District and the GGRC. Parents provided District with all assessments and reports from Dr. Bennett and the GGRC, and with the IEE from Dr. Bond. Parents’ actions were reasonable at all times and they are entitled to full reimbursement. Issue 1(a): Did District commit procedural error which denied Student FAPE from October 26, 2010 onward because it failed to develop a written offer of placement at the IEP team meeting? 7. District argues in its closing brief that the main reason that District suggested scheduling a second IEP team meeting was so Parents’ proposed goals would be given full consideration. District argues that at least four circuits have concluded that a procedural violation does not deny a student a FAPE where parents opted not to meaningfully participate in the IEP development process. (Systema v. Academy School District No. 20 (10th Cir. 2008) 538 F.3d 1306; Hjortness v. Neenah Joing School District (7thCir. 2007) 507 F.3d 1060; MM v. School District of Greenville County (4thCir. 2002) 303 F.3d 523; Knable v. Bexley City School District (6thCir. 2001) 238 F.3d 755). District reasons that by filing for a due process hearing Parents were abandoning the IEP process and acting in bad faith, and therefore are not entitled to relief. 8. Neither the evidence nor the law supports the District’s theory. Here, it was the District that stopped the IEP process under the wrongful assumption that Parents had abandoned the IEP process. It was District’s responsibility to offer a FAPE to Student. Parents participated in all aspects of the IEP process and cooperated with District. Parents also agreed to attend an IEP team meeting on November 30, 2010, but District did not send a confirmation letter establishing the meeting. In a situation as is found here, when both parties stop communicating, it is the responsibility of District to initiate communications to continue the IEP process because it is the school district that must comply with the IDEA’s procedural requirements. More basically, the IDEA does not contemplate punishing parents and their child for requesting a due process hearing, nor does it make any exceptions to a district’s IEP obligations for students who have pending due process requests. 9. As shown by Factual Findings 25 through 37, District failed to provide Parents with a written offer of placement that identified its location. District’s violation was not a harmless error because it impeded Parents’ ability to meaningfully participate in the decision-making process, thereby denying Student a FAPE. The failure to provide a written offer stating the location of the placement was aggravated by District’s failure to disclose to Parents possible locations for placement of their son prior to the IEP team meeting, or to cooperate with Parents prior to, during and after the IEP team meeting to facilitate observation by Parents of classrooms that may have been possible placements for their son. These procedural violations, taken together, denied Student a FAPE. Issue 1(b): Did District commit procedural errors which denied Student a FAPE from October 26, 2010 onward because it failed to ensure, identify and discuss a continuum of program options at the IEP team meeting? 11. As shown by Factual Findings 38 through 40, District did consider Dr. Bond’s findings when determining services that would be provided. District discussed a possible range of placements and verbally offered a single placement, Presidio. District argues correctly that there is no legal authority that requires parents to view proposed placement options prior the initial IEP team meeting. Although District should have responded to Parents request to observe possible placement locations for their son, District did provide a continuum of placement options and committed no procedural error which denied Student a FAPE. Issue 1(c): Did District commit procedural errors which denied Student a FAPE from October 26, 2010 onward because it failed to allow Parents to provide meaningful input in the development of the IEP? 13. As shown by Factual Finding 25 District scheduled the IEP team meeting properly and assured the attendance of Parents and their advisors and the meeting was attended by all of the necessary District personnel as required by law. But, as shown in Factual Findings 26 through 37, whether intentional or not, District’s failure to provide requested information regarding possible placements for Student, its methodology in controlling the IEP team meeting, monopolizing the time at the IEP team meeting, failing to provide Parents with a written copy of the final draft of the IEP team meeting and failing to conduct a necessary follow-up IEP team meeting significantly constrained Parent’s ability to fully participate as a member of the IEP team. For these reasons District failed to allow Parents to provide meaningful input in the development of the IEP at that meeting. The violation is not harmless, because it significantly impeded Parents’ ability to meaningfully participate in the decision-making process. The violation therefore denied Student a FAPE. Issue 1(d): Did District commit procedural errors which denied Student a FAPE from October 26, 2010 onward because it predetermined Student’s placement? 15. As shown by Factual Findings 38 through 40 District did take some information provided by Parents into consideration in developing the IEP and offered services recommended by Dr. Bond. However, as shown by Factual Findings 41 through 44, this is overshadowed by how District selected Student’s location for placement. Without notifying Parents, District had a Presidio representative standing by to convince Parents that the Presidio program was appropriate for their son. It is clear from this maneuver that District had predetermined Student’s placement prior to having any discussion whatsoever with Parents. For these reasons District failed to allow Parents to provide meaningful input in determining Student’s placement at that meeting. This is aggravated by District refusing to provide Parents with information that would allow them to observe possible placement locations for their son. The violation is not harmless, because it significantly impeded Parents’ ability to meaningfully participate in the decision-making process. The violation therefore denied Student a FAPE. Issue 1(e): Did District commit procedural errors which denied Student a FAPE from October 26, 2010 onward because it failed to allow Parents to view District’s placement sites prior to the IEP team meeting? 16. There is no legal requirement that a district allow parents to observe all possible placement locations prior to an IEP team meeting. As shown by Factual Findings 45 through 48, Parents requested that District assist them in observing possible placement locations for their son to enable them to intelligently consent to the location of placement. District’s refusal to cooperate with Parents in collecting this requested information harmed the relationship between Parents and District and damaged open communication. However, District’s failure to inform Parents about possible alternative placements taken by itself does not deny Student a FAPE. 17. After determining whether the district has complied with the procedures set forth in the IDEA, the tribunal must decide whether the IEP developed through those procedures was designed to meet the child’s unique needs, and was reasonably calculated to enable the child to receive educational benefit. (Rowley, supra, 458 U.S. at pp. 206-207.) Because District denied Student a FAPE as determined above, it is not necessary to evaluate whether District’s substantive offer would have provided FAPE. However, in the interest of thoroughness, the offer is examined. Issue 2(a): Did District substantively deny Student a FAPE because the IEP failed to include a written offer of placement? 18. As shown by Factual Findings 25 through 37 and Legal Conclusion 6, District was obligated to provide a formal written offer of placement, but Parents were not given a copy of the final draft developed during the IEP team meeting, instead they left the meeting with a written copy of the final IEP that did not provide the location of placement. In aggravation, Parents were not provided a copy of the draft IEP until December 27, 2010, more than two months after the IEP team meeting. The absence of the location of Student’s placement in his IEP was a denial of FAPE. 19. Federal and State law specify in detail what an IEP must contain. (20 U.S.C. § 1414(d)(1)(A)(i); 34 C.F.R.§ 300.320 (2006); Ed. Code, § 56345.) An annual IEP must contain, inter alia, a statement of the individual’s present levels of academic achievement and functional performance, including the manner in which the disability of the individual affects his involvement and progress in the regular education curriculum. (20 U.S.C. § 1414(d)(1)(A)(i)(I); 34 C.F.R § 300.320 (a)(1)(2006); Ed. Code, § 56345, subd. (a)(1).) The statement of PLOPs creates a baseline for designing educational programming and measuring a student’s future progress toward annual goals. Issue 2(b) Did District substantively deny Student a FAPE because the IEP failed to include appropriate and accurate present levels of performance at the time of the IEP team meeting? 24. As shown by Factual Findings 51 and 52, District included appropriate and accurate PLOPs. The PLOPs presented in the IEP describes the manner in which Student’s disability affects his participation in appropriate activities. The PLOPs were based on extensive assessments completed by professionals retained by Parents and by District. Issue 2(c): Did District substantively deny Student a FAPE because the IEP failed to include specific and measurable annual goals? 25. As shown by Factual Findings 25, District gathered a qualified team and conducted its assessments of Student in a timely and competent manner these assessments are unchallenged by Student. As shown by Factual Findings 53 through 68, District developed specific and measurable goals that were appropriate for Student and offered Student a FAPE. Issue 2(d): Did District substantively deny Student a FAPE because the IEP failed to provide annual goals in the areas of communication and socialization designated to meet Student’s unique needs? 26. As shown by Factual Findings 69, District included specific and measurable communication and socialization goals in the IEP that provide an offer of FAPE to Student. Although this issue was specifically pled by Student, District presented sufficient evidence to support that communication and socialization goals offered Student a FAPE. 33. As shown by Factual Findings 25 through 37 and Legal Conclusions 6 through 9; Factual Findings 26 through 37 and Legal Conclusions 12 and 13; Factual Findings 41 through 44 and Legal Conclusion 14 and 15; and Factual Findings 41 through 46 and Legal Conclusion 18, District denied Student a FAPE. As shown by Factual Finding 13, Student’s current private placement at Serra and associated ABA services are a proper placement for him. In conjunction, the services provided by Steps, Serra provides Student with instruction under a well designed teaching plan tailored to develop functional skills in multiple settings with appropriate interventions. As shown by Factual Findings 70 through 73, Student is entitled to reimbursement for the costs of his private educational placement and services from October 16, 2010 until District conducts and IEP team meeting and offers a FAPE to Student. 1. Within 45 days from the date of this decision, District shall hold an IEP team meeting and offer Student a FAPE. District shall include in the IEP a transition plan designed to assure that Student will succeed in his transfer from Serra to a District program. District will also include extended school year services in the IEP. 2. Within 45 days from the date of this decision, District shall reimburse Parents the total sum of $7,900 for fees paid for Student’s private placement at Serra Preschool. 3. Within 45 days from the date of this decision District shall reimburse Parents the total sum of $20,563.75 for ABA services received from Steps Therapy Inc. for services rendered from October 18, 2010 until January 31, 2011. 4. District shall reimburse Parents for ABA services rendered by Steps Therapy Inc. from February 1, 2011 until the IEP team meeting as ordered herein is convened. District shall reimburse Parents within 45 days after receipt of proof of payment either in the form of invoices marked paid or cancelled checks from Parents or other appropriate proof of payment. Payment for services from Steps Therapy Inc. shall be limited to $1,500 per week. Pursuant to California Education Code section 56507, subdivision (d), the hearing decision must indicate the extent to which each party has prevailed on each issue heard and decided. Here, Student prevailed on Issue 1(a); Issue 1(c); Issue 1(d) and Issue 2(a). District prevailed on Issue 1(b); Issue 1(e); Issue 2(b); Issue 2(c) and Issue 2(d).